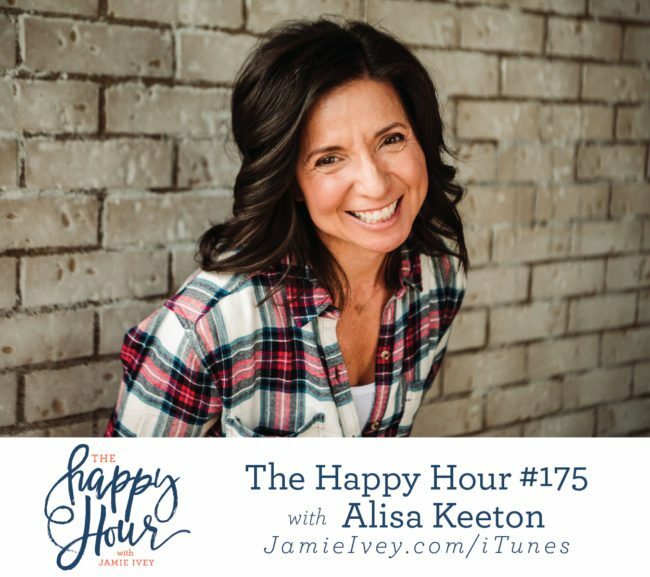 My guest for The Happy Hour #175 is Alisa Keeton. Alisa is a leading certified wellness professional with more than 20 years of experience. She is passionately dedicated to serving the Lord and is the founder of Revelation Wellness, a nonprofit ministry dedicated to educating and inspiring people to live healthy and whole lives in Christ. I just know you guys are going to love my conversation with Alisa. We talk about how her relationship with Jesus began and took a serious toll on her marriage. Alisa shares how God redeemed her marriage and how she and her husband are both living lives surrendered to Jesus. You'll also hear about Alisa's decision to have her breast implants removed. If you want to read more about that story, you can do so here. We talk all about holistic health and what motivates us and what drags us down. In her new book, The Wellness Revelation: Lose What Weighs You Down So You Can Love, God, Yourself, and Others, Alisa takes an in depth look at what it means to be transformed by God’s love, from the inside-out. After our conversation, I know you'll want to go check that out.